Livingston offers a unique shopping experience, with 2 major shopping centres, plus three large retail parks and a multitude of small local stores located throughout the town. 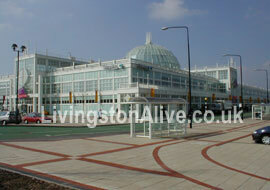 The Centre is a large enclosed shopping mall, in the heart of Livingston’s town centre. As one of Scotland’s five new towns, Livingston was created in 1963. The first phase of The Centre was built in 1976 to facilitate the needs of this local population. The shopping centre was refurbished in 1988 by Land Securities, and was extended by 230,000 sq. ft in 1996, creating phase 2 of the development, which brought the size of the mall to 550,000 sq . ft. Finally in October 2008, the next major retail and leisure development to hit Livingston opened its doors - Elements Square bringing with it a variety of shops including Debenhams, Marks & Spencer and H&M. As a new town, Livingston does not have a traditional High Street and so in effect, The Centre is it's shopping high street! Livingston town centre has also seen other major development works in recent years, the most significant and unique of which is the Livingston Designer Outlet , which opened in October 2000 adjacent to the Centre. This has complimented the existing retail offer and has attracted visitors from a much wider catchment area. In addition, there are also 4 large retail parks in the town centre which house retailers such as SCS, Halfords, Currys, Land of Leather, TK Maxx and Pets at Home as well as a Homebase, Toys "R" Us and Matalan. 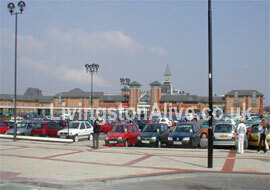 There is also a large park containing a B&Q Warehouse and Morrisons Supermarket. Shopping in Livingston is easy, with two big shopping complexes located next to each other, and a combined shopping experience of over 275 shops and stores within one square mile and numerous places to eat Livingston really is the place to come for Shopping.